I saw this video on my Facebook feed the other day. I thought it was really cute, and it appears as if hundreds of thousands (perhaps millions by now) agreed. You see we could all relate to this little girl. What do you think? I think that the reason this went viral is that at some point in our lives, no matter how little, there was a time when we blamed someone else for our actions. “My brother did it.” “The dog ate my homework.” “The teacher didn’t tell us we had a test.” And the list goes on. Believe is or not, the same thing happens all the time in real estate. 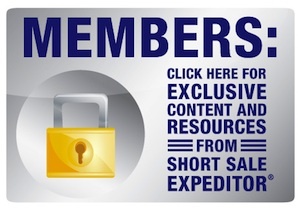 And, our team at Short Sale Expeditor® often sees this very same phenomenon with the short sale lenders. The short sale lenders are blamed just like those teachers who didn’t tell us when the homework assignment was due or who ruined the transaction by taking so long. But, I am going to clear the air right now. That is just NOT true. After closing likely over 1500 short sales, I have definitely seen some patterns and tons and tons of lender errors. But, often you just cannot blame the short sale lender. The approval letter extension is taking a long time. Come on. You received a short sale approval letter and the short sale lender gave you maybe 45 or 60 days to close. Loan documents come in late, the lender needs more items from the borrower, and the buyer is not ready to close on the date of the approval letter. “All you need is two more days.” Most lenders will give you extra time, but they will not generate that extension in just an hour. So, don’t blame the short sale lender when the buyer’s lender couldn’t close within a reasonable time frame. The short sale is taking a very, very long time. 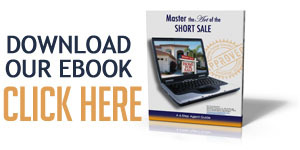 Most short sales still take about 3-6 months. If yours is taking longer, you have to figure out why that is the case. 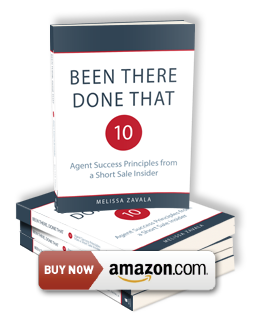 If you keep on losing buyers, then maybe your counter offer isn’t airtight or maybe your communication with the buyer’s side is not effective. I’ve had short sales where I have gotten upwards of three approval letters with different buyers and the buyers keep walking. Just so you know, that is not always the fault of the short sale lender. Your client decides to do a loan modification. There are two teams at most of the major lending institutions: one for short sales and one for loan modifications. They will reach out to the client to try to get you to do a loan modification, even if the client is working on a short sale. The two are mutually exclusive, and most people are not candidates for the loan modification. You need to set expectations accordingly with your sellers before you begin so they are not duped into the false hope that they will be approved for a loan modification. The value came back higher than your offer amount. That is usually not the short sale lender’s fault. That is quite possibly the fault of the individual who did the appraisal or Broker Price Opinion. But, in some instances, maybe your buyer’s offer is too low. It is your responsibility to provide comps to the short sale lender in order assure that the short sale gets approved. So, the next time things are going amiss with your short sale, consider the video of this little girl blaming her Barbie. Don’t be like her.